Overwatch’s Halloween event has been announced, along with new spooky skins. 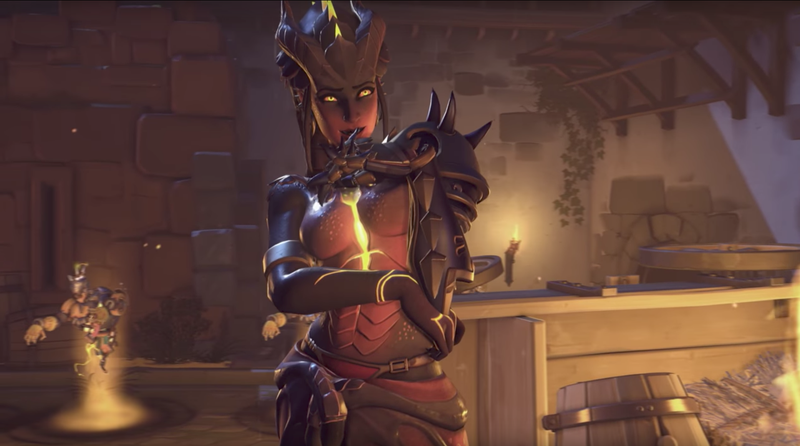 While there are a lot of great new skins on offer, the fandom has already been freaking out over Symmetra’s Halloween skin that depicts her as a Dragon. The fandom has been freaking out over Symmetra’s Dragon skin, which leaked over the weekend. There’s tons of fanart of it already, some even before it was officially announced. This isn’t really a surprise. Overwatch fandom loves their demon-y looking women. If you’re not in the mood to draw, well, you can also just post on Twitter and Tumblr about how much you love this skin like a lot of other people are.